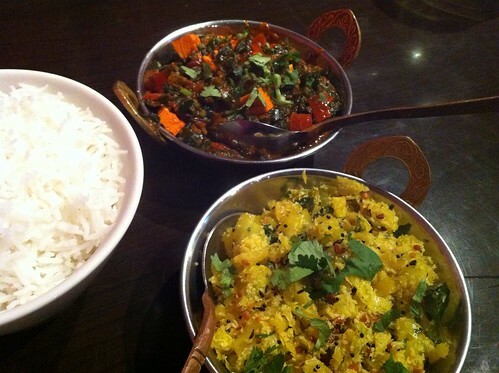 The Satya family of restaurants make some of my favourite Indian food in Auckland, and I’m lucky enough to live very close to their Mount Eden branch. Satya’s chefs know all about vegans and don’t use a lot of dairy products in their vegetarian dishes, so their menu offers lots of options. Friendly service and amazing food has meant over the years that Satya has built up a bit of a vegan following. Realising this, they started learning more about vegan nutrition, and about a month ago introduced a special vegan menu. Currently, the new menu is available by request on Sunday, Monday and Tuesday at the K Road, Mount Eden and Sandringham restaurants. 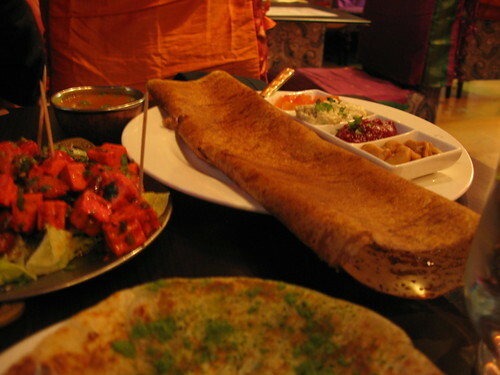 The new vegan menu is extensive, varied and interesting, making use of ingredients that are more common in Western-style vegan cooking to create dishes like nutritional yeast fortified masala dosa and wheatgrass paratha. Fresh soy yoghurt is created in Satya’s kitchens and used in vegan dahi puri, mango lassi or as a dessert. I’ve ordered from the vegan menu twice now, and am excited to return and order all the things. 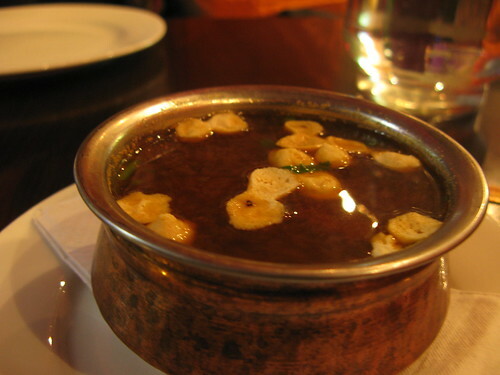 One of my favourite dishes I’ve tried so far is also one of the simplest: clear onion soup with lentil wadis. You can Download the menu (.docx) (you might need to be logged in to Facebook for this link to work) or visit Satya’s website for a shorter preview version. Best advice: go with friends, order lots of different things and share a feast.